Madrid’s Friday night party, Reverse, is heading to Ibiza for a season of underground parties at Vista Club located on the Privilege Ibiza complex and it all kicks off on 18 June with Vitalic and Technasia back to back with Uner and more. For the past five years the Madrid night has catered to underground house and techno crowds, booking DJs like Laurent Garnier and Dave Clarke, Derrick May and The Martinez Brothers as well as hosting showcases by leading labels and brands like Cocoon, Circo Loco and Cadenza. 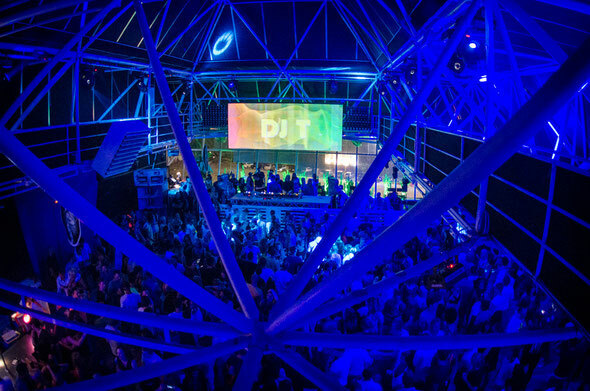 Taking over Vista Club at Privilege, Reverse is set to offer line-ups that balance big name stars with more underground talents and plenty of Reverse residents. After the opening party, 25 June sees Kompakt act Pachanga Boys play along with Spanish artist Pional plus Sleepy & Boo and more. Second July finds Carlo Lio, Pig & Dan, Kasiderdisco and Marco Yanes, then the 9th sees Technasia go back to back with Riva Starr, with support from Andrea Oliva. The 16th is another chance to see Pachanga Boys and Mendo, then Umek hits the island on 23rd July. O the 30th, Vitalic headlines alongside a back to back show from Technasia & Dosem. In August, Diynamic main man UNER plays with Belgium brothers 2ManyDJs, Reverse celebrates its birthday on the 13th with Technasia and Carlo Lio and then Technasia plays again b2b with Pleasurekraft on the 20th before ViVA boss Steve Lawler and Luna City Express play with Onno and Karretero on 27 August. As well as a special closing party on 17 September, Fritz Kalkbrenner plays live on the 3rd and Technasia plays one last time as Cristian Varela goes b2b with Marco Bailey on the 10th.